Whether it is bitter cold weather, huge snow storms or winter rain storms, winter can bring a variety of weather to us that tests our ability to survive. 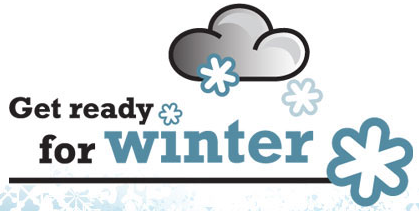 We can think about emergency preparedness for winter and take the steps necessary to protect ourselves. We can all lessen the impact on our lives. In our last post about getting ready for winter we listed a number of areas for consumers to consider. In this post, Emergency Preparedness for Winter, we are going to focus on the emergency side of the question. Emergencies are when you have no power, no water and no way to get to safety. What do you do now to make your life easier in these situations? Water -without electricity the water supply may not work. Cooking, cleaning, washing etc not to mention water for drinking will be in jeopardy. Make sure you have enough water stored up to supply your needs for several days unless you feel there is a chance that the outage will last longer. Food -The same applies to storing food that will not deteriorate without refrigeration. Dried foods, although not that exciting are easy to store and will keep you from going hungry. You also do not need electricity either to prepare it. Electricity – an electric generator is a handy thing to have if your power goes out often and stays out. Gas driven and hookups are required to ensure that you have enough electricity to run the basics can make the difference between an uncomfortable difficult period and one that is just ok. Make sure that the generator is always situated outside and that you have sufficient gasoline to run your generator for a few days. Lights – candles, flashlights, batteries or at least wind up flashlights are a necessity. Your generator may provide enough power for a few lights, but you probably want to run the fridge on it to keep your food fresh. Have sufficient candles and dry matches for longer periods of darkness with no electrical power. Heat – If you do not have a wood burning fireplace, you need to develop a plan to heat your home if the power will be off for a long period of time. No electricity means your furnace does not work and your electric hating does not work. Using propane heaters indoors can kill you so do not do that either. Running a gas generator outdoors and connecting it to the furnace and the fridge are probably the two main priorities. Make sure it generates sufficient power to handle both. Evacuation – if there is a chance that you will need to evacuate, have an emergency pack ready, make sure the car is full of gas and know your escape route. Don’t wait until it is too late to get out. Leave early to avoid road congestion or blockages. The above are the basic necessities to consider to get ready for any emergency. You need to asses what the worst thing is that will occur and then prepare for that situation. Since this particular post is focused on winter conditions, you may have to adapt it somewhat if you are concerned about flooding or high winds for example at other times of the year. It is not too late, there is still time to get ready for winter and avoid sudden emergencies on the coldest day of the winter. We put together a short list of items that home owners may want to consider in the fall to get their home ready for winter. Feel free to leave comments about these items or others that we should consider adding to the list. These are the bare bones basic items that every home owner should think about, even apartment dwellers will find this useful, particularly if you are susceptible to power outages from storms in your area. Your Furnace – on the coldest day of the year your furnace or boiler is going to stop working and you find yourself worrying about freezing pipes etc. The repairmen are all overwork because thousands of people have the same problem. Have your furnace checked now and also cleaned to increase your odds of having s failure free winter. Snow Blower Engines – Start it now, make sure you have fresh clean gasoline in it. Change the oil to get it ready for winter. Don’t wait to that first snow fall to find out that it won’t start or needs major repairs. It is so much easier to deal with these issues when it is still warm outside. Emergency Power – A gas powered generator may be the one item that provides you with peace of mind in a power failure situation. If your electrical supply system is prone to failures you may just want to invest in a gas powered generator. Install the proper hookups to power your emergency devices. Emergency Supplies – this includes everything from non perishable food, to flashlights. Include jugs of water to help deal with no power for an extended period of time. Flashlights are good to have, as are candles and matches. Just make sure candle flames are protected and reduce the risk of fire. Freezing Pipes – if the power does go off and you have to leave, make sure you know how to turn the main water supply off and drain the pipes. You can reduce a great deal of water damage by taking this simple step. Evacuation – if this is a real possibility where you live, then make sure that your vehicles are never on empty. Always have at least three quarters of a tank of gas in your vehicle to enable a fast get away. You avoid having to get in a long line of cars and trucks to buy gas. Remember that it is all about preparedness and self survival. The first responders cannot get to everyone immediately. It may take days for them to make it to your home! As we travel around the country we see so many homes that are run down and have not been looked after. We also see a lot of homes that are in perfect condition. We wonder what the difference is between people who look after their homes and those that do not. It does not take a lot of work to maintain your home. Especially if you do it yourself you can control the cost. DYI really keeps your expenses to minimum. Of course you can hire a contractor to maintain your home. These could include lawn care services, shrubbery and flowerbed services. Also basic repairs that are required from time to time. The driveway may need repairs and the house may need to be painted as well, especially around the windows to ensure that the wooden window frames are not exposed and begin to rot. Annual maintenance of a home should include basic outdoor activities as well as indoor activities. You want to make sure that all of the windows are secure, painted and not deteriorating. Also check to make sure that your roof is in good shape and not allowing any water to penetrate. You may also want to check that rodents cannot get in to your attic through the roof. They can cause considerable damage leaving a mess as well and even a strong odor. Anytime you see any water leaks, it should be repaired immediately to avoid further water damage. Taps that are Dripping, Water underneath Your Sink, and Showers That Are Leaking into the Room or in the Floor below Should Also Be Repaired Immediately. Water damage can be extensive and the mold that usually follows water damage can be detrimental to your health as well. Deal with water leaks promptly to avoid these issues. Better yet repair your roof and windows before water leaks get started. Water Damage Can Also Leave or Cause Mold to Appear causing health issues for people living in the home. Deal with these issues quickly so that they do not get worse and create thousands of dollars of expensive repairs that will need to be done. Your furnace falls into a special category. You may not even realize that there is anything wrong with your furnace until it suddenly stops working. Worse, if it is producing carbon monoxide, it can kill you and your family. We suggest that you have your furnace checked properly once per year and have any repairs made to it promptly to avoid any problems that might occur. While no one wants to have their furnace red flagged, i.e. meaning it must be shut down and repaired before it can be used, this is far better than having it spewing carbon monoxide into your home and possibly killing you and your family. Carbon monoxide is odorless and colorless and cannot be detected without a special monitor. Install a carbon monoxide detector in your home to ensure that you are also protected in this manner as well. You may also want to have your water heater checked if it is also running on gas or some other kind of fuel other than electricity. 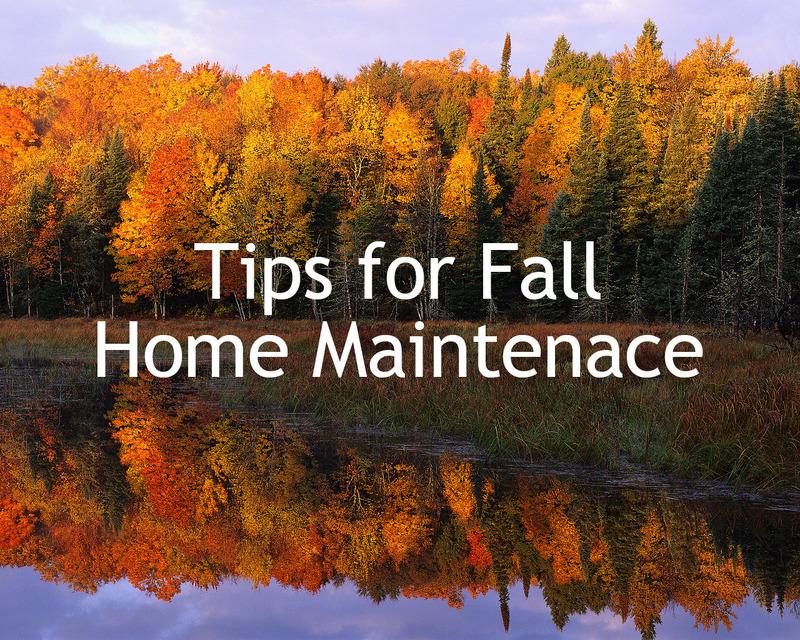 Anyone who owns a home knows that they really need to spend time on general home maintenance almost every month of the year. 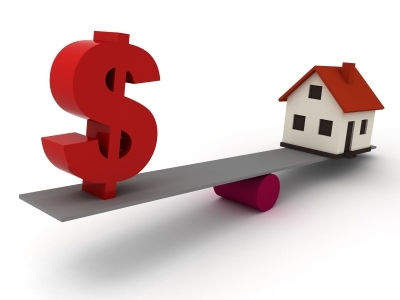 Consequently your home is one of your largest assets and at sometime you may want to sell it. Any buyer is looking for a well maintained home that does not need major repairs. The best way to avoid major repairs regardless of how long you plan to live in your home is to keep up with general home maintenance. Always nake sure that repairs are completed quickly to avoid further damage. Even if you have to pay someone to do the work for you, it is definitely worth it to maintain your home. Your home will decline in value if you need to sell it. Also savvy home buyers are going with home inspections and they are going to pick up on all of the little things as well as the major items that you may have ignored. If you want full price for your home keep up with maintenance. The following is a general list of maintenance steps that all homeowners should consider. Your home may have specific items that are needed and you may want to add this to this list. While this is not a complete list, it does cover all of the major items that most home owners need to be aware of. Also you may want to do an inspection if you have not been maintaining your home properly to determine what is required immediately to avoid any damage. Your roof and windows are good examples of something that should be checked. If there are leaks of any kind, water damage can cause a great deal of damage and add mold to your home which can be harmful to anyone sensitive to mold. Walls can be damaged, floors can be damaged by water leaks from the window leaks. In addition your home is not going to look great if your windows are not painted and looking great. Budgeting for home maintenance is difficult to be exact, however to make sure that you have close to the right amount set aside for home maintenance so that it is not a burden to you when the time comes, is relatively easy. As your home gets older, there is always going to be something to replace or repair. Take a look at the things that are nearing their end of life. Obtain quotes for replacement and / or repair. Decide if you will do the work yourself or hire someone. This makes a huge difference in terms of how much you will need to budget for home maintenance. The first step is to asses your home. Look at all of the big items that will need some sort of work done in the next 20 years. These typically include the following items – roof, driveway, furnace, water heater, air conditioner, windows, flooring, window treatments and garage door. The next step is to figure out the cost of replacing all of these items and timing of when each item will need replacement. We are talking about average years to replace and the cost today to replace the item. You can allow for inflation as well. Which is a good step to take especially if the item in question will last for another 20 years. Some work will be do it yourself jobs. But many of the larger jobs must be completed by skilled professionals or businesses with the right kind of equipment. E.g. replacing your driveway. Decide which jobs will be done by yourself. Which ones will not, make sure the full cost of material and installation is included. Repairs and replacements don’t always happen as planned. For example a furnace that should last another 10 years might only last 10 years. While the water heater will last for 20 years. At least if you are setting money aside you will have some of the money saved if the furnace for example quits early. Divide the cost to replace the item by the number of years that you expect them to last. The result is the amount that you need to save every year. These items are another area to include since they are more discretionary. They can also involved big bucks. For example if you are planning to replace your carpet flooring with hardwood, the cost will be in the thousands of dollars. Again decide when it will be done, ask for several estimates and then decide how much you need to save to ensure you have sufficient funds to pay for whatever you are improving. Improvements can include new floors, landscaping, adding a pool or hot tub and so on. The more you can do yourself the more you will save and reduce / control your overall cost. Once you have all of the estimates and the cost for each item, the timing of each item figured out, you can arrive at a total number that will indicate how much you need to save for all of your plans and home maintenance costs. Depending on your income, there may be a need to make adjustments to your plans. For example the landscaping you planned may need to be delayed for a couple of years until you have enough money saved. Condos have condo fees for a reason. There is a lot of maintenance and upkeep that needs to be done for any building. Whether it is an apartment building or a town house style of home or a regular single family home. The difference with condo’s is that you are paying a management fee to someone to manage the building. You are paying labor costs for all of the work that needs to be completed. Much of which most people can do themselves e.g. cutting and trimming the lawn. Management fees are a set fee that the management company will charge just to manage the property. Their job is to collect the money, hire contractors and make sure that the work gets done. The work should be completed according to the instructions they receive from the condo board. When you are in your own home, no one needs to pay management fees. You are the owner and the manager and you get to do the work, providing a huge savings. Labor fees are another factor that come into play when you have your own home vs. a condo. In a condo you get to pay labor costs for everything at the going rate. While in a home there are many things that home owners can do themselves. From raking leaves to planting flowers to fixing leaking faucets to name a few. This is a huge savings for anyone who can do the basic level of work. The larger jobs you can contract out or hire someone to help you. Before this post begins to sound too much like a condo vs. single family home post, we just want to say one thing more. A homeowner can shop around for materials. They can take advantage of sales for material. While a contractor buys material and may get a discount for quantity. They may or may not pass the savings along to the condo! 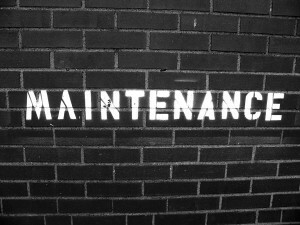 Maintenance is regular things you have to do every year while repairs are something that needs to be fixed after it has broken or stopped working. Keeping your lawn healthy and trimmed looking is maintenance. Fixing broken fences or fences that have lasted beyond their age is something that needs repair. All of these things most people can do themselves as long as they are not afraid of a bit of hard work. There are a number of large jobs that you will have to contend with particularly if you stay in a home for any length of time. We suggest that you set aside money for these things because they can cost a great deal and most people do not have that kind of money just sitting around. Here are a few examples of some of the things that people may want to consider saving for. A rule of thumb is to take the job you are going to do, figure out the cost of the job, decide when it will be done and divide by the number of years to get the amount you need to save each year. For example if your roof is already 10 years old and has another 15 years of live, and th estimated cost to replace it is $5,000, then you need to save $5000 divided by 15 each year in order to have enough saved when the roof needs replacement. Apply this approach to all of your items and you should end up with enough money in your maintenance pool to pay for all of your repairs! Regular house maintenance is something that all of us need to pay attention to if we want to protect our investment and make sure that our home goes up in value over the years along with our neighbors houses. One of our neighbors thinks that his house is worth $600,000 because he has a large home. He has a large lot which is on the surface very attractive. In fact there are homes in our neighborhood that are worth amounts in that range. He has not maintained his house that well. So it needs a lot of work. Someone who would like to buy his home would look at it and then look at all of the money he would have to spend. For example it is a 2500 square foot home. All of the carpets and the linoleum ( who has linoleum in their kitchens now) would have to be replaced. Most people would put in hardwood and tile. The cost can vary a great deal. But let’s assume the cost would be $20,000. The entire home would also have to be painted which would cost another $10,000 approximately. He has a three car wide, 2 car deep driveway that would need to be repaved, which could cost another $8000. The windows should also be replaced and there are a lot of windows and these could cost up to $30,000. While they are at it they would probably want to update the bathrooms. Also update the kitchen which can cost anywhere from $40,000 to as much as $70,000. The sky is the limit of course and it could be done on the cheap or nothing at all could be done. Excluding the cost of the kitchen and the bathrooms, the total comes to $70,000. Most people would want to do something to the kitchen and bathrooms. So let’s allow a total of $30,000 for that which takes it to $100,000 in maintenance expenses. We have not even touched the outside in terms of things such as landscaping etc that needs to be done. The point is that a what should be a $600,000 home might only be worth $500,000 or less. It depends on what the comparables are and how much competition there is from other homes on the market. The point we wanted to make with all of this is that consumers need to complete regular house maintenance to maintain the value of their homes. This man has lived in his home for over 25 years. He could have completed some of this maintenance over time without it all adding up in the manner that it has. Here is a brief list of maintenance activities that will help to maintain the value of your home provided that repairs are completed when identified. By doing routine home maintenance, consumers can save themselves thousands of dollars in major repairs. For example by making sure that the down pipe from the eaves trough is delivering water onto the lawn instead of around the foundation can avoid major leaks in your basement. We could probably add more to this list, however we think we have captured the major issues that home owners need to deal with to ensure that they do not end up with a major expense. We will expand on one of them to give you more detail. This small maintenance step should be completed in the spring and the late fall. 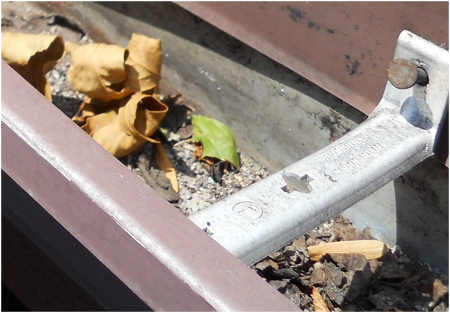 Basically you want to have all of the leaves removed from the eaves trough to ensure that the water flows easily and does not sit in the eaves trough. Heavy water sitting in the eaves trough will cause them to sage and even fall down over time. If you live in a cold winter environment, the water and leaves will freeze and block the flow of water when it does thaw. Water can back up under the shingles due to ice dams and cause leakage into your home causing all kinds of water damage. Keep the eaves trough open and clear will help to reduce this kind of issue from occurring. Every home needs home maintenance from time to time regardless of where you live and the size of your home. Completing this home maintenance work can mean the difference between spending a few dollars vs. major repairs. Because you just did not address these issues fast enough. This post was really originated by something that I observed that my neighbor is not doing. I have mentioned it to him several times. However he either forgets, ignores what I am suggesting or just does not care. I know that he does not like to do maintenance around the home. He will likely pay for it sometime in the future. He spent several thousand dollars having his front yard landscaped. It looks great and he had the landscapers install shrubs and flowers in his gardens as well. The landscapers installed an underground drain from his down pipe from the eaves trough into the lawn. There is a reservoir under the lawn. There is also an overflow tap that pops up in a situation where there is a heavy rainfall. In the fall you remove the down pipe from this underground pipe. Redirect the water out over the garden towards the lawn. We get very cold weather. This prevents a lot of ice buildup around his foundation in the winter time and helps dissipate the water away from his foundation. In the spring you are supposed to reattach the eaves trough to the underground pipe. The water will once again flow underground out onto the lawn. He has done neither of these things. Now the water just flows down the drain pipe onto the ground beside his foundation. This water has no where really to run so it filters down along the foundation and the weeping tile take this water away. I am concerned that eventually the weeping tile will eventually become plugged or the water around the foundation will freeze and cause the foundation to crack sometime in the winter. His basement is finished and I am worried that this potential leak in the future will cause a lot of damage to his basement. This is one example of something that only takes a few minutes to correct which could prevent a larger maintenance issue for my neighbor sometime in the future. There are many other things that are routine and should be completed every year during specific seasons. Cleaning the eaves trough of any debris that has built up will allow the water to drain away properly from the roof and prevent back leaks into the house. Changing the filter on your furnace is another that will provide you with clean air. Painting your windows on a regular basis will also help to prevent them from flaking and the wood rotting. Many of my neighbors have spent thousands of dollars replacing their windows because they were beginning to leak due to the seals giving way. A little paint would have prevented having to spend thousands of dollars replacing all of these windows. Changing the oil on your lawn mower and your snow blower annually is another example which would make sure that these engines last a long time. Lubricating various items on these machines following the manual is another great thing to do to keep them running well. Another big item is replacing the shingles on your roof. Once they are over 15 years old watch for missing shingles or the ends of the shingles beginning to roll up. This is a sure sign of a problem waiting to happen. In both cases leaks can develop which can ruin the insulation underneath as well as ruin paint on walls and even your floors if it is bad enough. Any roof that has standing water on it is a potential problem waiting to happen. Same goes for standing water around your foundation or on your lawn. If you have this situation make sure that you fill in the depression in such a manner that it drains away properly. This is easy to do and just part of the general maintenance activities that are needed around a home. Most people do not like mowing the lawn, or placing fertilizer on the lawn or grass seed on the lawn to thicken it up. A strong healthy thick lawn fights off weeds and looks healthy, while a lawn that is not doing well, has thin places etc is a perfect magnet for weeds. Keep it healthy to have a great weed free lawn. Our site has a variety of posts about various tasks that should be followed that will cost little but can save you thousands of dollars in repairs. Some of the easiest upkeep projects require less time than it takes to grill a steak. Most people don’t think to do these things. Yet anyone can knock them out in minutes for virtually no cost. Even if you don’t have a basement workshop. Compare to hiring a handy man at $20 or more an hour and $50 just to show up. These jobs can be completed by most consumers with a little thought and a few tools. The way the writer looks at this is that the money I save by doing some of these jobs myself can easily pay for any tools I might need. These tools can be used over and over. Clean your air conditioner’s condenser. That move alone could knock 10% to 15% off your cooling costs. Slide your clothes dryer forward, pull off the vent hose. Vacuum out the built-up lint and around the base of the dryer. That can cut the laundry-related portion of your electric or gas bill by as much as 25% to 30%. Windowsills are extremely prone to rot. For instance, check each window for any cracks in the sill paint. Use a few dollar’s worth of exterior caulk to seal any fissures that you find to keep rain and moisture out. If the paint damage is extensive, the problem has unfortunately moved beyond a quick fix. Hire a pro to scrape and repaint them or do the job yourself. Similarly, pruning back shrubs to leave a foot of air space around your building. Checking your lawn irrigation system to ensure that the spray isn’t hitting the house or garage. This will help delay your next $6,000 to $10,000 paint job. Keep your garage door tracks, casement window gearboxes, and balky doorknobs working smoothly, without annoying creaks and groans. Spray them with WD-40. Like muscles and gray matter, your home’s mechanical equipment will age a lot more gracefully if you put it through its paces now and then. Do the same with forgotten Jacuzzi pumps. Exercise the plumbing fixtures in a rarely used attic bathroom. Also the emergency shutoffs for your water and electrical supply lines. Find the valves under your sinks, behind your showers, and on the mains in your basement. Gently turn them closed and then open them again. This help ensure they will work when you really need them someday. One caveat. If your plumbing is more than 50 years old, don’t touch the valves. Hire a plumber to check and replace them, if needed. the likely cost is about $100 to $200 apiece. Many areas in the northern half of the USA and most of Canada are just emerging from the annual deep freeze of winter. We posted on our blog a check list covering this subject back in March. We thought that it would be a good idea to repeat this post or at least reference it again. Consumers all through the northern areas of North America and even northern Europe are just now thinking about all of the home maintenance things they need to do to get their homes ready for the summer time. Most people focus on their yards and the planting of flowers, trimming some shrubs and cleaning up garden beds. But there are many more things that should be considered as part of the spring home maintenance. A link to the post is – Spring Home Maintenance. We have a long list that consumers should find helpful. They can refer to this list as they go about the job of getting their homes ready for the summer. If you are the type that does not like to do this type of work, consider hiring someone to do this work for you. Even though it will cost a bit of money, this is a far better thing to do than to let things go. You will eventually have to spend a lot more money repairing various items around your home than if you just keep everything maintained. This is where you can really save a lot of money in the long run around your home. Small regular maintenance bills are far easier to handle. Than one large repair job that took place because you did not do the regular maintenance activity. The first step that we believe all home owners should consider is to take a walk around their home outdoors and assess if there are any improvements that need to be completed and if there any repairs that need to be completed. Repairs should be at the top of the list to avoid further expense. For example if there is a piece of siding missing or cracked, it will let water, animals and insects into your home. Take note of these items and repair them as quickly as possible depending on the potential for more damage to your home if they are left un-repaired. In the next paragraph, we discuss an example of what we mean by this statement. This is a good example of saving money in the long run. Lets assume that you do not bother with the eaves trough and just leave them full of leaves and other material. The trough will be full of water most of the summer, with the material in the trough rotting away and creating an acidic mixture that over time will eat away at the eaves trough. You will need to replace them far in advance of when they normally should be replaced. In addition this constant moisture will cause your shingles to deteriorate a little faster in this area. In the fall when it freezes, you now have a heavy weight on the trough. This is due to the snow and ice which over time will cause them to sag. They are now beginning to look ugly. You will have to either replace them or at the very least spend money repairing them. A few hours a year will avoid this entire cost and aggravation. In addition during a heavy rain, the water coming off your roof will flood your eaves trough and overflow onto the ground below. This totally defeats the purpose of having eaves troughs in the first place. You could even have leakage into your basement if there is a lot of water standing around your basement walls. Water in your basement especially if it is finished, can cause a great deal of damage. We will keep this post short , but we want to draw your attention to the spring home maintenance list that we prepared a few months ago. A link to the post is – Spring Home Maintenance. Add your comments. Our readers will appreciate your comments and suggestion of home maintenance that you need to follow-up on. Everyone forgets to do the routine Home Maintenance Tasks around the home unless it is something that you have to do every day or perhaps once a week such as taking out the garbage. Usually something is neglected for some period of time and then it becomes a problem that requires a more expensive solution beyond simple cleaning. We will cover a number of situations such as apartment renters, apartment owners, condominiums and single family homes. We will not cover routine things such as cutting the grass or taking out the garbage. Everyone knows that they need to do these things. What we are looking at are some of the things that should be completed on a quarterly basis, seasonally and even annually around the home to make sure that you continue to live comfortably, safely and inexpensively compared to something breaking down and causing a lot more damage. These tasks are difficult to remember because they’re so infrequent, but keeping up on the maintenance will not only extend the life of your appliances, it will also help them run more efficiently. To remind yourself to do them, set up email reminders, use a to do list or just making a not e on a calendar. Many smart phones have to do lists or you can down load an app that will help you keep track of these items. Whether you’re renting or you own a home, it’s easy to let repeated tasks of home maintenance slip your mind. Flip the mattress (every three months). Replace batteries in your smoke alarm (every three months). Change your water filter (every two to six months). Change your air filter (every two to six months). Check that the drain pan under the cooling coil mounted in the furnace is draining properly and is clean for all air conditioning systems. Lubricate circulating pump on a hot water heating system. Examine the forced air furnace fan belt for wear, looseness and noise. 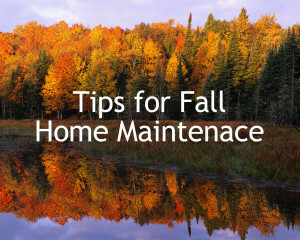 Replace furnace air filters each month during the cooling and heating season. Ventilation system, such as heat recovery ventilator, filters should be checked every two months. Check to see that the duct work leading to and from the heat recovery ventilator is in good shape, the joints are tightly sealed in any depth installation of plastic duct wrap is free of tears and holes. Clean portable de-humidifier, if one is used every week. Clean central humidifier every month. Check to see that the bathroom exhaust fans are operating properly. 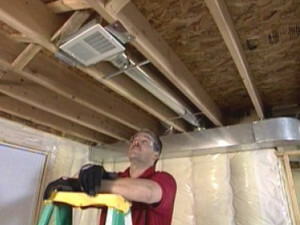 Check the airflow to make sure that air is being drawn into the vent and expelled. Check sump pump and exhaust line to ensure proper operation. Confirm sump pump has no line obstructions or visible leaks. 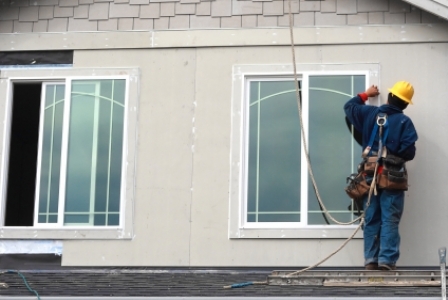 Ensure windows and skylights close tightly; repair or replace weather-stripping as needed. Insure all doors to the outside shut tightly, and check other doors for ease of use. Replace your weather-stripping if required. If there is a door between your house and garage, check the adjustment of the self-closing device to ensure it closes the door completely. Remove cover from the air-conditioning units and turn on power in the spring. Insure that the ground around your home slopes away from the foundation wall, so that water does not leak into your basement. Clean leaves from the eaves trough and roof and test downspouts to ensure proper drainage from the roof in the spring and the fall after the leaves have fallen. Install outdoor hoses and turn on indoor valves in the spring. If you have a septic tank, measure the slide and scum to determine if the tank needs to be emptied during the summer. Tanks should be pumped at least once every three years. Remove winterizing landscaping material, for example, prepared gardens and if necessary protect young trees or bushes for winter. Plant flowers, shrubs etc at the appropriate time for your area and climate. This partial list is a great start for all home owners and anyone who wants to take care of their home whether they rent or not. Good maintenance will ensure you have the lowest expenses over the long term. Well it is mid Oct and it is time for fall home maintenance. Time to get ready in preparation for the winter, especially in northern climates. Inspect your home on a regular basis. Follow good maintenance practices is the best way to protect your investment in your home during the winter months. 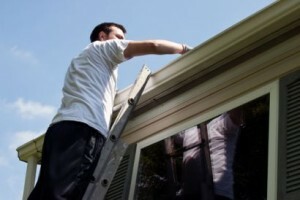 Consumers can save a lot of money and frustration by doing this home maintenance. If you do not feel comfortable performing some of the home maintenance tasks listed below, or do not have the necessary equipment, for example a ladder, you may want to consider hiring a qualified any person to help you. There are many handyman service companies that abound in very city that will do this type of work. 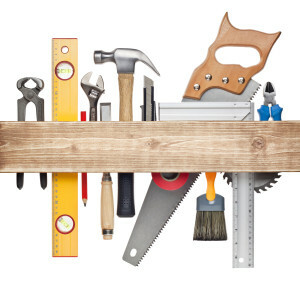 If you need general work done, a general handyman is ok and not too expensive. 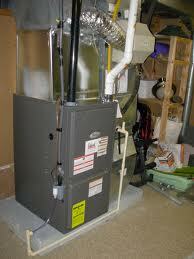 However for furnace maintenance as an example, you are better off to hire the professionals. Furnace or heating system serviced by a qualified service company every two years for a gas furnace, and every year for an oil furnace, or as recommended by the manufacturer. If you have central air conditioning, cover and protect the outside unit with a tarp or cover that comes with the unit. Turn the power off to the AC so there is no danger of the system running with this cover in place. The cover will protect your outdoor unit from damage from debris, ice and snow. Lubricate circulating pump on a hot water heating system if you have one. Connect the power to the furnace and examine the forced air furnace fan belt, if installed, for wear, looseness and noise. Clean fan blades of any dirt buildup. Check chimneys for obstructions, such as a bird or squirrel nest, before turning on your furnace. Turn on gas furnace pilot light, set the thermostat to heat, and test the furnace for proper operation by raising the thermostat setting until the furnace starts to operate. Once you have confirmed proper operation, return the thermostat to the desired setting. If the heat recovery ventilator has been shut off for the summer, clean the filters and the core, and pour water down the condensate drain to test. Check smoke, carbon monoxide and security alarms, and replace batteries. Detectors should be replaced every seven years. Clean portable humidifier, if one is used and install a new foam dispenser. Check to see that the bathroom exhaust fans and arrangements are operating properly. If possible, confirm that you are getting good airflow by observing the outside vent exterior damper which should be held open by the airflow. Check sump pump and line to ensure proper operation, and to ascertain that there no line obstructions or visible leaks. Remove interior insect screens from Windows to allow air from the heating system to keep condensation off window glass. It will allow more free solar energy into your home. Insure that the ground around your home slopes away from the foundation wall. Avoid water collecting against the wall and does not enter into your basement. Clean leaves from the eaves trough and roof and test downspouts to ensure proper drainage from the roof. Drain water from outdoor hoses. Clean interior valves to outdoor hose connection and drain the hose bib ( exterior Faucett), unless your house has frost proof bibs. Have well water tested for quality. Test for bacteria every six months. If you have a septic tank, measure the slide and scum to determine if the tank needs to be emptied before the spring. Tanks should be pumped at least once every three years. Winterize landscaping, for example, store outdoor furniture, prepared gardens and if necessary protect young trees or bushes for winter. If this list appears a bit daunting, schedule an activity every day. You will be surprised at how quickly it is finished. Comments are welcome concerning anything that we might have missed. As we prepare this post, the days are getting longer and depending were you live the snow may beginning to melt which indicates that spring is just around the corner. It is time to take stock of your home and note any damage that might have occurred around your home during the winter months. Winter can be hard on a home, your plants and out buildings, so this is a good time to plan all of your spring home maintenance tasks. Inspecting your home on a regular basis and following good maintenance practices is the best way to protect your investment in your home. If you do not feel comfortable performing some of the home maintenance tasks listed below, or do not have the necessary equipment, for example a ladder, you may want to consider hiring a qualified any person to help you. Even if you are going to do some of the more minor spring maintenance activities always complete your work with safety in mind. If you have central air conditioning, make sure the drain pan under the cooling coil mounted in the furnace is draining properly and is clean. Disconnect the power to the furnace and examine the forced air furnace fan belt, if installed, for wear, looseness and noise. Clean fan blades of any dirt buildup. Check and clean or replace furnace air filters each month during the cooling and heating season. Ventilation system, such as heat recovery ventilator, filters should be checked every two months. Clean portable de-humidifier, if one is used. Remove cover from the air-conditioning units and turn on power. Insure that the ground around your home slopes away from the foundation wall, so that water does not enter into your basement. Clean leaves from the eaves trough and roof and test downspout to ensure proper drainage from the roof. Install outdoor hoses and turn on indoor valves. We hope that this list helps you in the maintenance of your home. Doing some or all of the above will help to prevent serious problems from occurring. Over time this will cost you much more money and time if you do not do this maintenance. If any of our readers have comments or additional ideas, please feel free to leave a comment. The theme of this post is ” do it your self” ! This is by far the best way to save money on home maintenance costs and annual upkeep. Consider that if you need to pay someone to do something around your home and he or she is charging $50 an hour plus dispatch fees etc, you are really paying approximately $70 or $80 and hour before taxes. In other words depending on what tax bracket you are in you have to earn this much in pre-tax income to pay for a handyman to come around and do this work for you. Can you do it yourself safely and meet the quality level that you and your family look for? How about learning how to do this yourself? Can you teach yourself how to do this work yourself? Most people can answer yes to these three questions. Most trades people are very competitive and you can sometimes negotiate how much they will charge, however recognize that there is usually a dispatch fee plus an hourly rate after they arrive. Sometimes the dispatch fee will include the first hour. The dispatch fee or call out ( they use various names ) can be as much as $100. Before asking tradesmen to come over, if you decide to go this direction, make sure you understand the costs first so there are no surprises! Now if you are quite rich and can afford it or you can make this much and more at your work, while the handy man is doing what ever you need, then it is a different scenario. For most of us we cannot make $70 or $80 and hour and so it makes sense for the average consumer to do the work themselves! Another major advantage is the satisfaction of completing something on your own and doing a great job at it. There is a real sense of achievement in completing a small project at home which many people find rewarding when they are finished. But, many will say they do not know how to do this type of work. There are so many ways to learn how to do basic repairs that most people can pick up what they need to know to do most jobs. Sure it may take you a bit longer to complete a job, you may need to buy some extra parts or tools, but the combination of reward and reduced costs to you more than pays for the extra time and tools you need. The internet is an unbelievable resource to find all kinds of basic help on a whole variety of tasks. Some people though need the confidence of actually talking to an expert to completely understand how to complete a job. While others may have a specific situation that needs some discussion and thought about how to complete the job. Most home improvement stores such as Home Depot, and many others have experienced staff that have spent many years doing this type of work. For example, if you are changing a tap, there is a plumber who has hung up his tools to work in a Home Depot store and will be more than happy to give you some pointers on how to complete your task. They will even help you pick put out all of the parts and the tools you will need to complete the job. If you are tackling a more major activity such as laying hardwood floor for example, most of these same stores will put on training courses from time to time, based on demand to show people how to properly set up hardwood flooring installations and complete the job. Of course you are going to make mistakes! If this is the first time you are trying to complete a repair on something, drywall a basement, paint, install wall paper or lay hardwood floors, you are going to make mistakes. This is just part of the learning process and it will depend on how much preparation you do and how much training you get in advance. There will be some extra expense due to your mistakes since you may need to buy extra tools or parts. However in most cases this extra cost will not come anywhere close to the cost of labor. If you have to purchase tools, you will have these tools for many other jobs. Their costs are not wasted in any manner. Doing the work yourself can save you lots of money. Especially when you take into account what it costs you in before tax dollars. Always find out the charges will be if you do decide to call someone in to do the work. The money you save will more than pay for the tools and the parts you need. Learn how to do various tasks by talking to the experts. A good source can be found at many hardware stores like Home Depot. Even if you make mistakes, it is ok. You have saved more than enough money to fix your mistake in most cases. For more do it yourself ideas and general maintenance ideas, click here.